Architectural Mailboxes Solid Cast Brass 4 inch Floating House Number Satin Nickel "7"
17 Inch x 6 Inch Plaque. Use with any Hillman 4 Inch House Numbers. Create an address of distinction with these attractive numbers. Designed to be used with the SoftCurve Address Plaque, they will gracefully identify your home to visitors. Their raised design casts a soft shadow against the plaque to create outstanding visibility and depth. 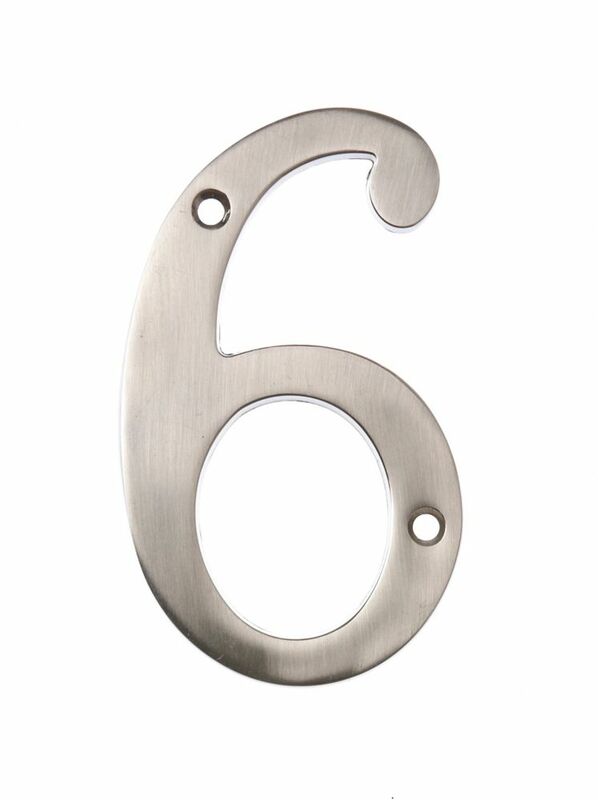 6 Inch Satin Nickel House Number 6 Accent your house with the Hillman Distinctions line of house numbers.